The April theme for the Bostik Bloggers is Birds. This month Little M ( My niece) and I had a fun afternoon session together. First we made some lovely chocolate cupcakes for her mums birthday and then we made a lovely bird mobile as a present for her to give to her mum for her mums birthday. 1 piece Ribbon approx 16 inches long. To see how to make this lovely Bird Mobile please watch the video below. 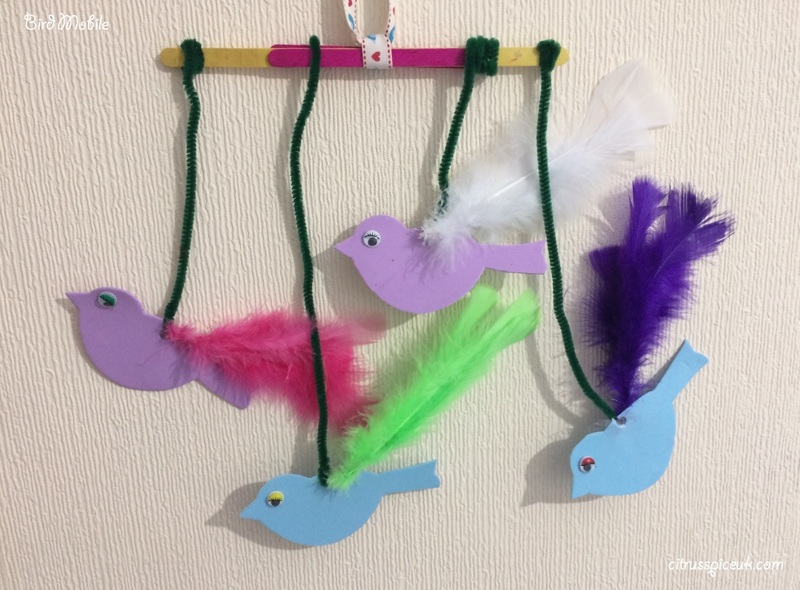 NB- The mobile was easy enough to make although the feathers did have a sharp wire which needed adult supervision. Those are really sweet and so nice for spring! Well done! What a lovely bird mobile. My kids will love making it! I would try making this with the kids this spring. Looks fab. This is so pretty I am going to show this post to my grand daughter when I go to USA in July. She loves to make all these home made gifts.She is 8 years old now and is already very good at making cakes also..
What a cute craft idea perfect for spring too. The birds look lovely, such a nice gift for her mother, I'm sure she would love it. That looks like a wonderful arts and crafts idea for Spring. I would love to do this with the kiddos. 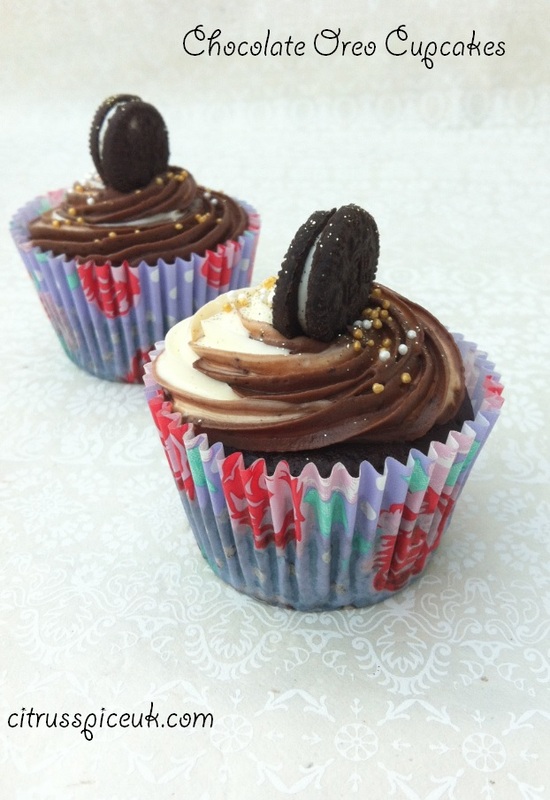 The cupcake looks delicious. The bird mobile seems like such a sweet gift for her mother. Nayna such a cut cute present for your niece's mum.. you're so good with craft. Remember making something similar with kids at school when I was teaching. However as we had limited material, I had to cut out the birds on manila sheet, the kids coloured it and used crepe paper for the wings. The birds would make really wonderful wall decor. It's also easy to do and follow. What is Bostik? Is it a brand? Anyway, that's really nice. It's a great DIY I can make with my kids. Looks easy enough to make. oh wow.. pretty bird and lovely home decor. Looks very easy and will try to do with my son during this summer holidays. Thanks for sharing ! The cupcakes are a fine idea for a gift. 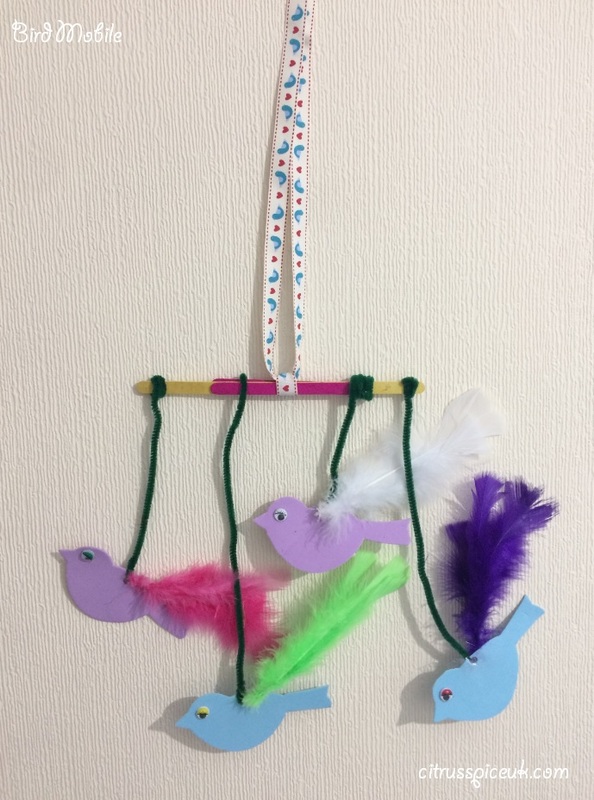 The bird mobile would probably be a very good activity to do together than as a gift. Yes indeed, the activity keeps my neice occupied and she has a gift to take home too. A win win situation. My neice takes them all as we always do crafts together. This DIY idea is very good, yet easy to make. But what is bostik by the way?